SimonBart Gallery’s agenda for summer 2016 proposes a rich program of events and meetings. 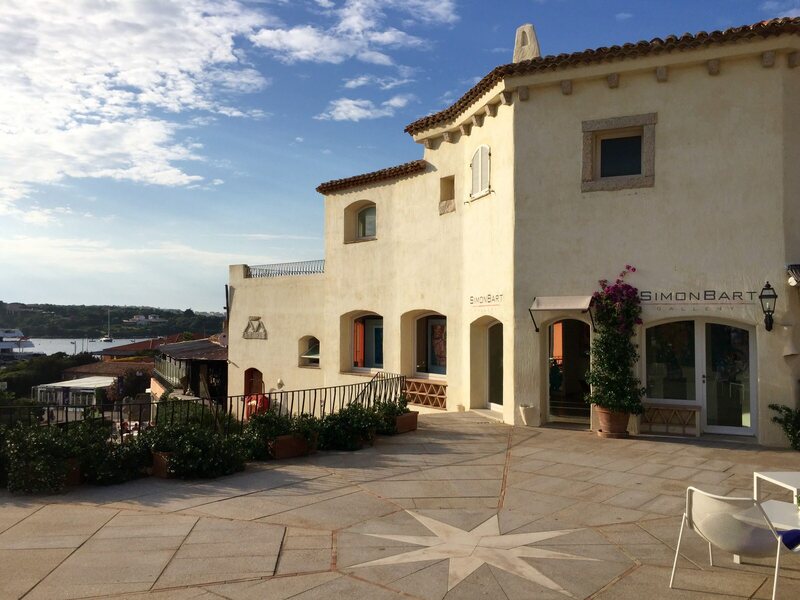 The magnificent venue of Porto Cervo will host, for the period June – September 2016, a collective exhibition made of leading figures of contemporary artistic scene: a parterre of artists who, although various for themes, techniques and poetics, share a common point, that is to say the international appeal and resonance. International vocation is, indeed, the central feature of Angelo Accardi’s career. Starting from his interest for what in Italian art is referred to as “figura”, his artistic development has been inspired by a constant search of new sensations, until the current mix/contrast between reality and imagination, evident in his last series, Blend. 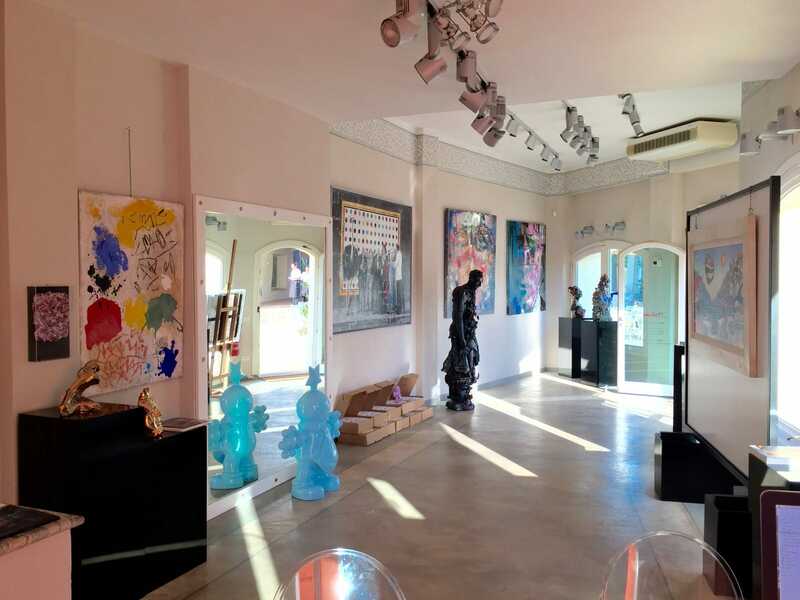 Accardi’s works have been exhibited in Florence, Milan, Innsbruch, Barcellona, Budapest, Shangai, London, Miami, Geneve. Elegance and highly visual impact are the mean connotations of Rabarama’s artworks. Human body is central in her artistic research and her production is quite eclectic and varied, particularly in terms of experimentation. Her monumental sculptures have been exposed in prestigious public spaces and foundations, such as Place de la Sorbonne and Place du Panthéon in Paris, Mizner Park in Miami, Palazzo Bricherasio Foundation in Turin, Dolores Olmedo Patio Museum in Mexico City. 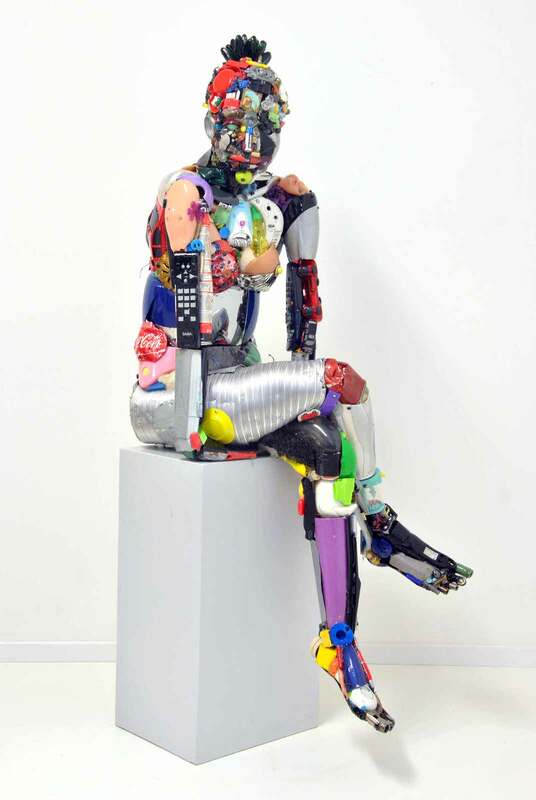 Furthermore, Rabarama’s artistic value is confirmed by her extraordinary participation to the Biennale of Venice, the 54th International Art Exhibition, where she was chosen as artist for the Italian Pavilion. 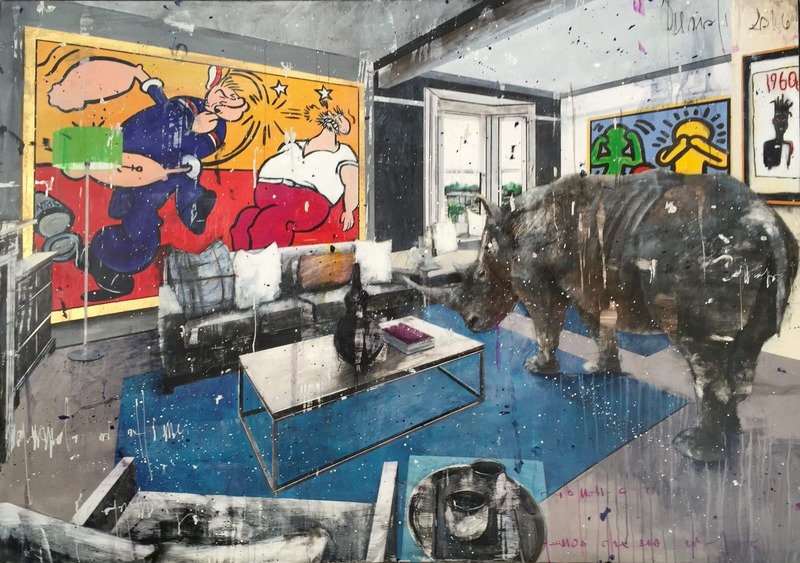 The contamination between classical and contemporary artistic archetypes is the leitmotiv of Fabio Modica’s painting. His versatile spirit led him to incorporate many different styles and mediums within his works, including watercolours, acrylics and chalks. At present, in the United States, Modica is being exhibited in Atlanta, in Connecticut, and in Tulsa, Oklahoma. 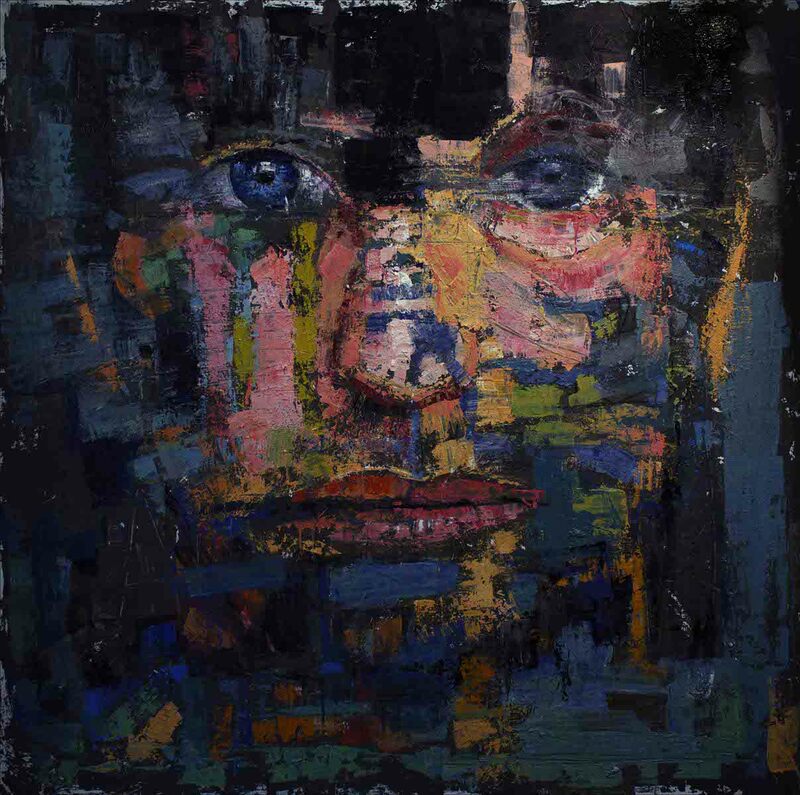 His artwork has been included in many solo and group exhibitions throughout Europe, especially in England, Spain, France and Italy. Lyricism and suggestion dominate the painting of Mauro Reggio, his representation of urban landscape. Rome in particular, the city where he was born, is the real protagonist of his canvases. His works have been exposed in New York, Los Angeles, Chicago, London, Hong Kong, Kuala Lumpur and Rome. The Senate of the Italian Republic bought three large paintings for its permanent collection. Furthermore, Reggio took place in the LVI Biennale di Venezia, Origins of Civilization, in which he exhibited on a large wall a composition of six urban landscapes, with text in the catalog by C. Langone, for the Pavilion of the Syrian-Arab Republic, in the Island of San Servolo, Venice. Experimentation is the soul of Dario Tironi’s sculpture. His knowledge and elegance in assembling various materials make him one of the youngest and most interesting artists of contemporary artistic scene. Despite his young age, Tironi has already exposed in prestigious location of Montecarlo, Monaco, Firenze, Milano. 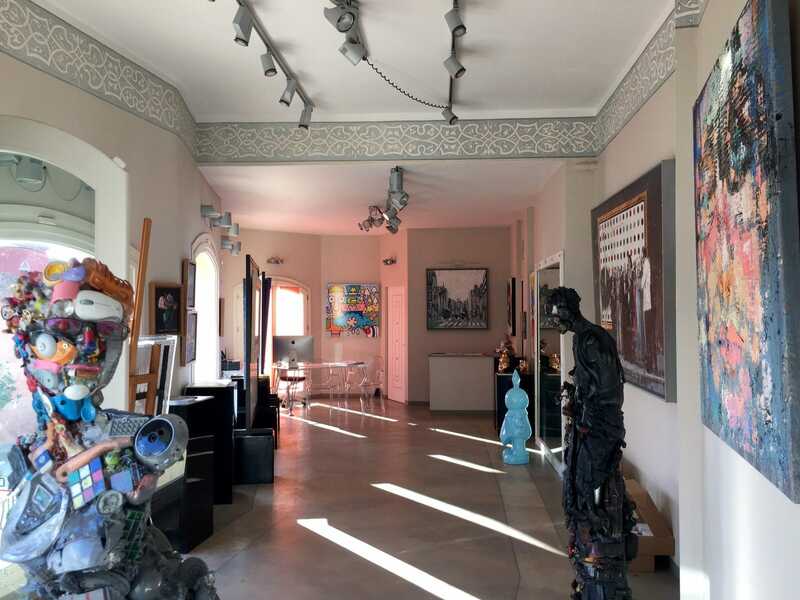 SimonBart Gallery’s summer agenda will get straight to the heart of the program on July the14th, with the opening exhibition Blend, Angelo Accardi – Constantine: it will be the occasion to appreciate how painting and photography could be different ways to describe similar themes and sensations. The successive event will take place on August the11th and will be dedicated to the monumental sculptures of Rabarama. Her hybrid creatures, often eccentric and elegant at the same time, will describe all the sorrows and joys of the human being, from slavery to freedom, through the genetic code of dreams.